That’s how Techstars co-founder and co-CEO David Cohen put it in a blog post earlier this week summarizing the results of a survey of 680 startup founders and top executives, mainly of U.S. digital technology startups, funded by the global entrepreneurship and startup accelerator program and Chase for Business. The survey was conducted earlier this summer by Lawless Research. Nearly three-quarters of the respondents said building diversity in their companies was very or extremely important. But 32 percent of startups represented in the survey have no women or underrepresented racial or ethnic minorities on their technical staffs, and fewer than a quarter of survey respondents recognized the link between diversity and financial performance. The survey report (which can be downloaded here) reveals some detailed demographic data on the startups and founders themselves. Those with five or more technical employees are categorized as diversity leaders (12 percent of companies). Startups with one to four tech employees (56 percent of companies) are called diversity builders. The 32 percent of startups mentioned above with no women or minorities are diversity planners, in the words of the survey report authors. People working on improving diversity and equity of access to technology careers are interested in this kind of data about tech startups. Large technology companies have lately made it a practice to report such statistics, which have become a proxy for the industry as a whole. It’s probably harder to pin down demographic data on startups, with their fast-growing (and sometimes fast-shrinking) workforces. 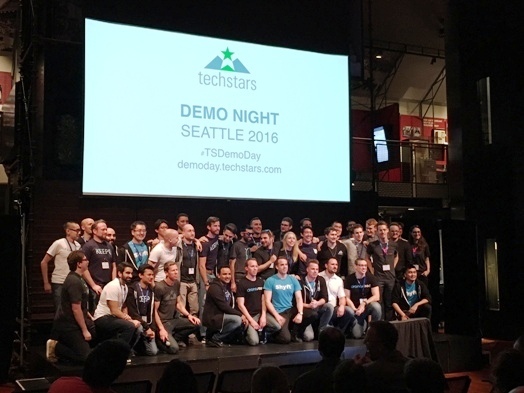 Techstars, in undertaking a multi-pronged effort in August 2015 to improve diversity within its own ranks as well as the tech industry at large, committed to publicize its diversity data annually. The diversity leadership survey also reveals some other interesting perceptions of startup founders. Large majorities said diverse teams benefit from enhanced creativity, innovation, and problem solving. But only 23 percent of founders surveyed say diversity translates to improved financial performance. More women believe this (42 percent) than men (19 percent). That bottom-line impact is important to emphasize to help business leaders and investors focus on the organizational changes and sustained investment required to recruit and retain more diverse employees. Indeed, the survey reveals that many founders are well aware of things that can inhibit diversity but have not taken steps to address them. Unconscious bias, for example, is a familiar concept to nearly everyone surveyed (92 percent), but just 45 percent have taken steps such as holding informal discussions, auditing job announcements for biased language, or conducting formal training, to help their companies reduce it. To begin promoting diversity in their companies, Techstars has offered startup founders an initial set of best practices in areas such as hiring, mentoring, pay and performance, and benefits. Cohen describes these as “by no means a comprehensive list,” and invites people to submit other resources to share on Techstars’ diversity leadership site.